Place the chickpeas and 1 litre of cold water into the pressure cooker and select legumes or 40 minutes. When finished, release the pressure and allow to cool. In a 500ml jug, combine the burgal and water. Allow to stand for 10 minutes. Drain through a strainer and set aside for 2 minutes. Place all ingredients in a large salad bowl and toss to combine. Add all of the salad dressing ingredients to a clean glass jar and shake for 1 minute. 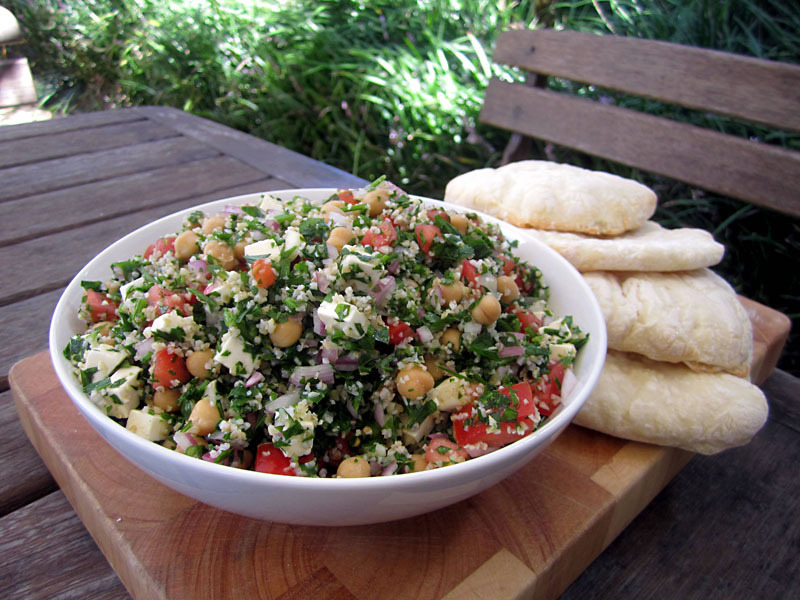 Pour over salad and serve with pita breads.